Happy Friday!! 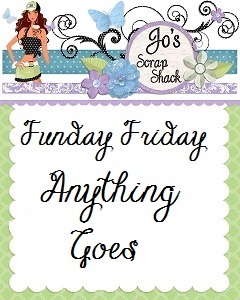 It's time for another challenge from Jo's Scrap Shack. 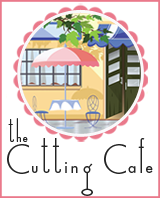 As always, we are now an Anything Goes challenge and our sponsor for the week is The Cutting Cafe. I was given a really fun box file to work with called "Tall Box Set". It comes with two different box options, one with window options and one without, a top and bottom, optional window frame element and a bunch of gift tags. I chose the window option. I used all four windows, but really you could easily use one, two, three or four! It is really quite a large box: 2 1/2 inches square on the base and (I didn't measure) about 7 1/2 inches tall. It holds a LOT of candy, and I think it would be amazing for a thin ornament. But really you could put just about anything in it. I don't have an electronic cutting machine, so I have to use the PDF files and do it all by hand. I cut out the templates with scissors and a craft knife and score all the score lines with my Scor-pal. Since buffalo plaid seems to be a big thing right now, I decided to gift my box top and bottom a bit of a plaid dress up using black ink and a distressed stripe stamp from Papertrey Ink. It took a bit of time, but I really like how it turned out. I die cut 4 pine boughs and attached them to the box top for a bit of texture and interest. I die cut the "ribbons" and ornaments from the same set and glued them directly onto the acetate window. So, the pine boughs lift off with the top, but the ornaments stay in place. 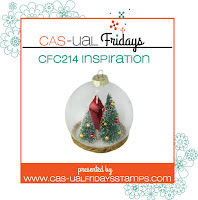 I used some score tape adhesive sheets to cut out the ornaments so I could easily add glitter. They are so gorgeous and sparkly in real life! It needed some decoration for the top so I made my own bow out of ribbon: red satin and black and white dotted. Some glue dots and hot glue hold it all together. 1. 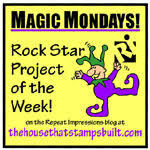 Please post a direct link to your blog post that includes your challenge entry project, using the linky tool on Jo's blog. 4. 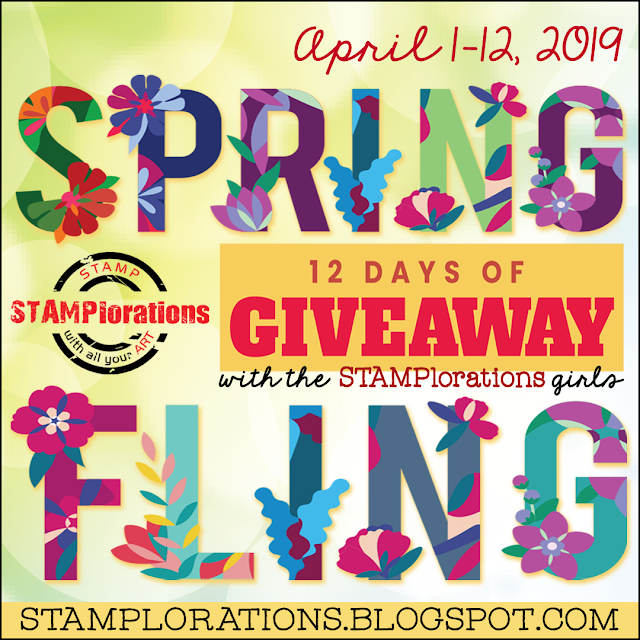 For all entries-NO BACK LINKS ACCEPTED--the date on your blog post should be dated between the start date and the end date for the challenge you are entering, in order to be eligible for the challenge prizes. *All entries that do not meet the challenge requirements WILL NOT be eligible for the top 3, any sponsor wins or any random wins by Jo. You have until Dec. 21st by 12:00AM (eastern, USA) time to link up. All winners will be announced during the week of Dec 23rd. Have fun and we look forward to seeing what you create. Cutting File: The Cutting Cafe "Tall Box set"
Stamps: PaperTrey Ink "Distressed Stripes"
Oh my I love this cute project! I love love love it. Thanks for joining us and good luck with your entry! Absolutely stunning! Thank you so much for entering our challenge at Crafty Gals Corner Challenges this week. Be sure to join us next time too! Heather this is gorgeous!!!! I tell ya, you do an amazing job for not having an electronic machine! I have always been very mindful of this when sending you files from the Cutting Cafe as I never want to overwhelm you or give you projects that would take up too much time. I am always super impressed with what you come up with, each and every time!!! I absolutely LOVE Buffalo plaid and it's very popular right now! You did such an amazing job! Thank you!! Whoa, this is truly amazing! Wow I love this! Fab project! Cutting this box by hand was an enormous effort. Whoever receives this wonderful box has to really appreciate it. It is so beautiful and well worth the effort. So glad you joined us at Die Cut Divas. Great embossed background and nice bright border and wreath...beautiful card. Thanks for sharing with us at Double Trouble. Very beautiful creation and lovely design. Thanks for joining us at Card Mania Challenges. Good luck and hope you'll join us again.